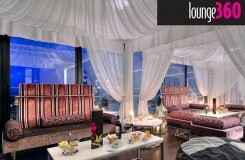 Chic surroundings and a warm atmosphere are complemented by a cool Asian fusion menu. The selection of food takes you to different places; being China, Japan, Malaysia, Singapore, Indonesia, Thailand, Korea, Vietnam and now also India. All dishes have been given an original twist and with the restaurant’s very own distinctive touch, they have become signature dishes among the most discerning of diners. 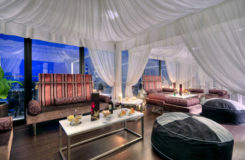 This hip restaurant offers the perfect atmosphere and the idyllic location for anyone seeking a special place to dine. With a splendid view of Sliema and the Mediterranean together with a harmonious atmosphere, one can sit and relax by the pool and enjoy a refreshing drink as well as a mouth-watering snack offered at the lounge bar and Pool Terrace. TemptAsian Restaurant was also named as the proud winner of the TripAdvisor certificate of excellence for 5 years in a row in 2011, 2012, 2013, 2014 and 2015. Alan Warren, started his career in the catering industry 24 years ago where he started off as a chef, and later worked his way up to become restaurant manager, where he held this position for the last 4 years. He brings a wealth of experience to our restaurant. He got introduced to the culinary world when he started off studying in ITS and continued to further his studies in the world renowned Ashburton Chefs academy, where he graduated. He also studied to become a sommelier. Alan is very passionate in the culinary industry and his most preferred subject is wine. He can recommend any type of wines to the dishes that you are ordering. His favourite dish is Lamb in Thai curry with Indonesian nasi goreng fried rice. Joseph Xuereb, our Executive Chef, has been leading the kitchen brigade of The Palace since it first opened its doors in 2007 and played a big role in creating TemptAsian, the award winning restaurant it is today. 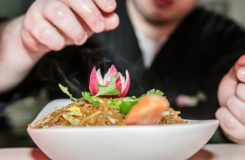 A Maltese chef who has a flair for cooking exquisite Asian dishes, Joseph was a protégé of an Executive chef when he first started his career. He claims his mentor was an immense influence in his career path and has encouraged him to try new types of cuisine, with new tastes, aromas and spices. This led him to create TemptAsian’s menu and its delicious signature dishes. 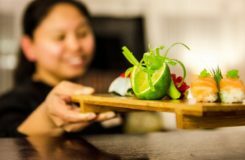 Inspired by the diverse cultures and cuisines of Asia- from China, Japan, Thailand, India and a touch of Malaysia and Indonesia, the opportunities are endless with regards to flavours. The dishes which have created and are presented on the menu, are craved by repeater guests, who most of the time have their favourite dish, which transports them to a part of the Asian world. Joseph or ‘Chef’, as he is usually called, is very proud of his team and of the success they helped him bring to the restaurant. 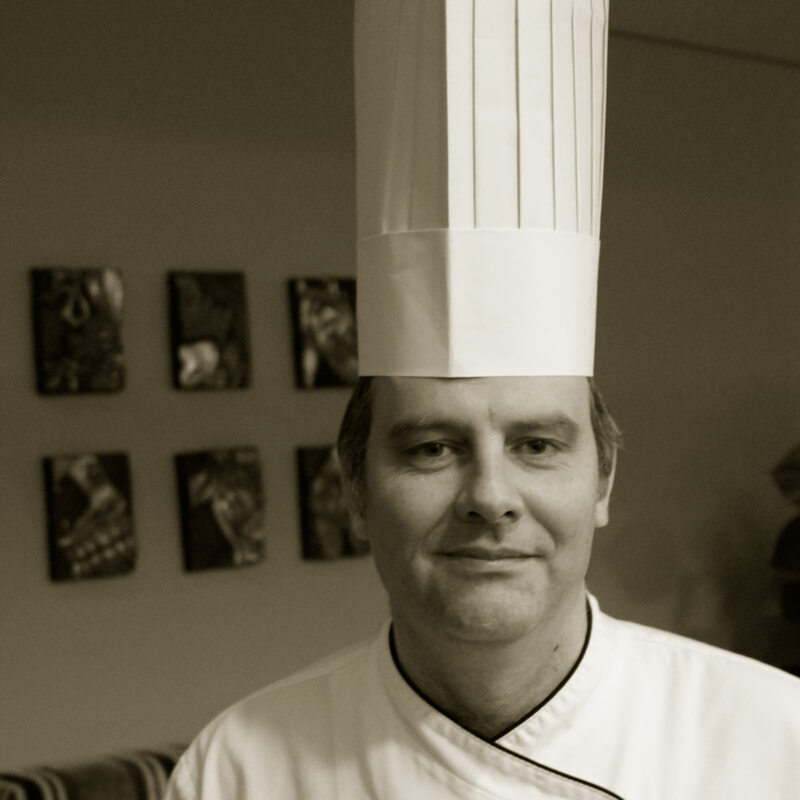 Marcello is a Maltese Chef and has been a cooking professionally since 1999. 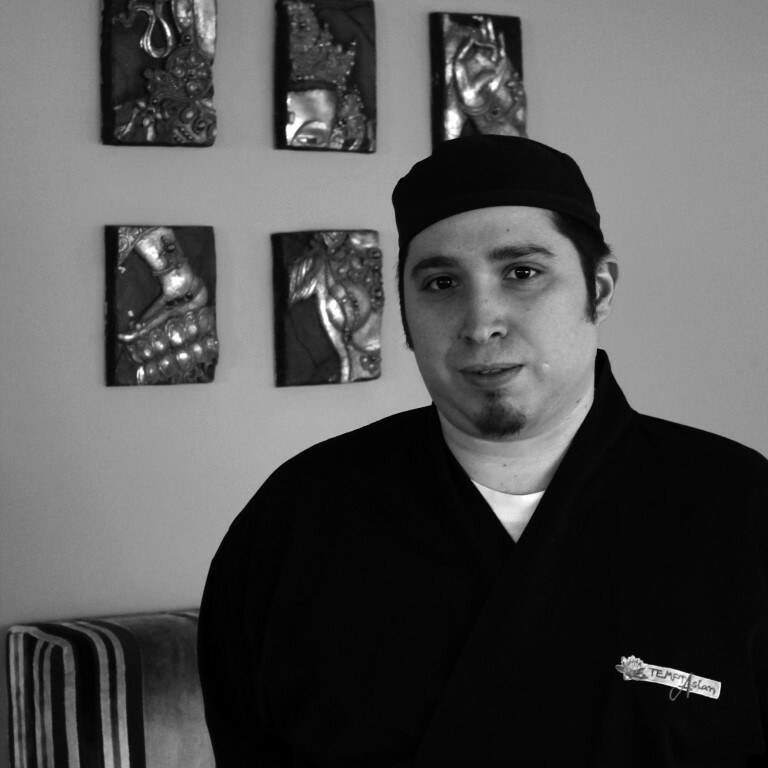 After working, in several Asian restaurants, he joined TemptAsian in 2007 during the first month we opened. 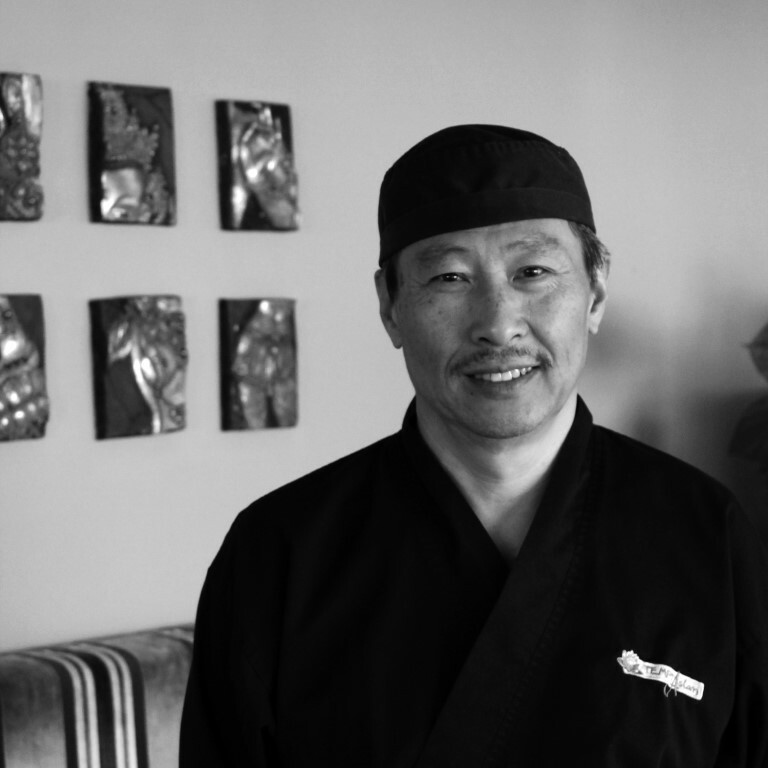 His specialty dishes are Japanese and Chinese, however, he also makes excellent sushi. Marcello feels at home at TemptAsian and doesn’t see himself anywhere else. He is especially excited to launch the new menu this year. Che is from China, in the north-eastern part near Japan and Korea, where he starting cooking in 1979. He has been part of the TemptAsian team since 2012. Before working in our restaurant, he was the chef at the Chinese Embassy in Malta. He enjoys cooking Chinese cuisine, especially fish dishes. Che loves working at TemptAsian, because of the good atmosphere in the kitchen and the wide variety of food prepared. 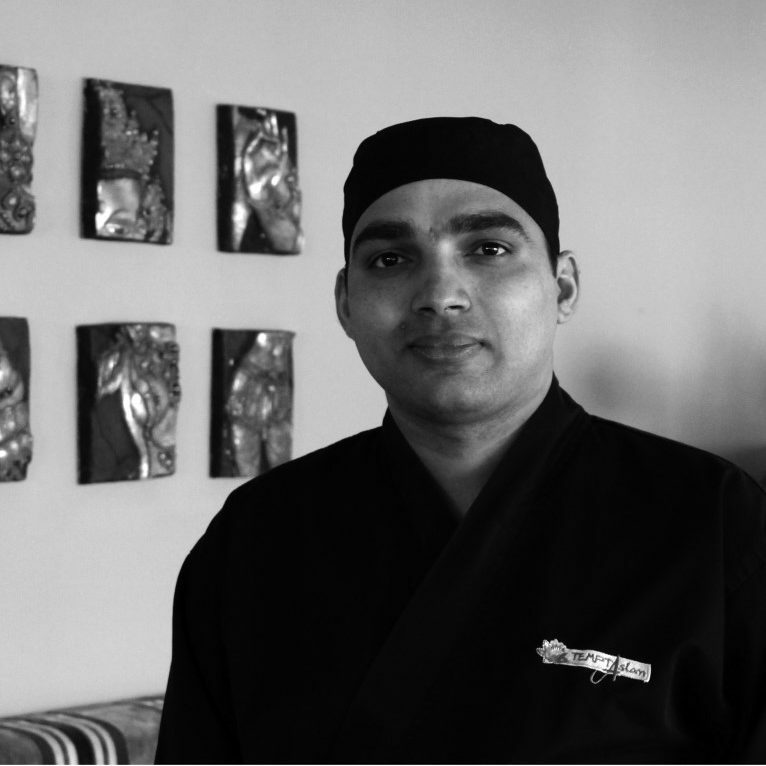 Raju is from Nepal, where he started his chef’s career eleven years ago. 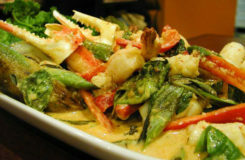 He loves to cook any kind of Asian cuisine from Chinese, Japanese, to Thai and his specialty being Indian. Raju has been working for four years at TemptAsian and before that he mainly worked in hotels. He enjoys working in our restaurant because he is given the opportunity to experiment and get creative when it comes to the dishes he makes. Raju was always attracted to European and Mediterranean cultures, and originally came to Malta because it is a safe country for his family .He loves Malta’s environment and especially the one in the restaurant, where several nationalities get along perfectly. We are now taking group bookings (minimum number of 10 people) where you can share a three-course menu for €30 pp.